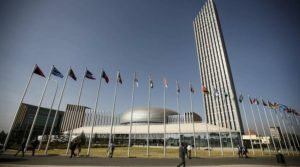 The African Union, a coalition of 55 countries established in Addis Ababa, Ethiopia, has reportedly been a victim of state-sponsored espionage after an investigation from French newspaper Le Monde revealed China was using the computers in a new building’s IT division to spy on its continental neighbours. This article was originally published on www.theverge.com viewed 31st January 2018. BlackBerry Sues Facebook, WhatsApp, Instagram Over Patent Infringement.